In its relatively short life, Eugenius! has achieved that most hallowed of things: cult status. 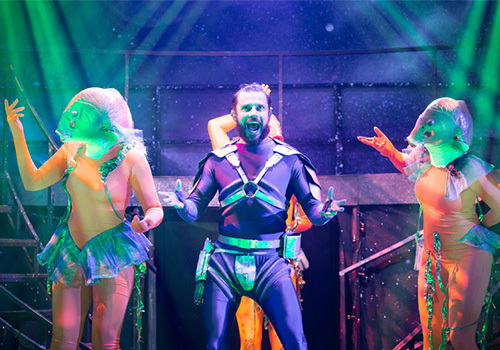 Following two runs at The Other Palace and a one-off concert at London Palladium, the comedy sci-fi musical transfers to Ambassadors Theatre. Ben Adams and Chris Wilkins' show, produced by Warwick Davis and directed by Ian Talbot, follows the story of Eugene, a self-confessed geek whose life changes when a Hollywood producer wants to turn his superhero comic strips into a movie. 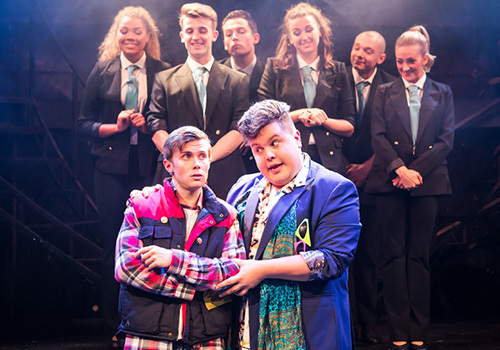 The show’s book, music and lyrics were written by Ben Adams and Chris Wilkins. 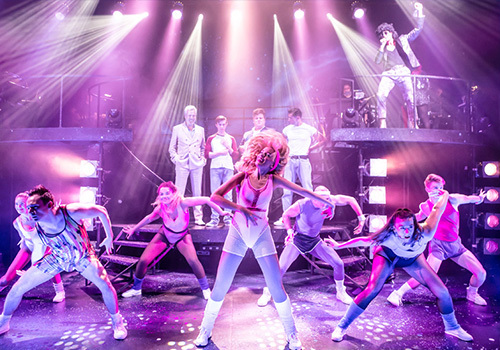 It is directed by Olivier Award-nominated Ian Talbot, who was the Artistic Director of Regent’s Park Open Air Theatre for 20 years and whose credits include Annie Get Your Gun and Lend Me a Tenor. Darren Lord presides over the musical direction. Choreography is courtesy of Aaron Renfree, design is by Hannah Wolfe and sound design is by Gareth Owen with lighting design by Andrew Ellis. Eugenius! is a tribute to the power of friendship, of the imagination and of standing up for what’s right. With the help of his friends Janey and Feris, Eugene rises to the challenge of turning his beloved comic strip into a major film. When Hollywood fails to live up to his expectations and one of his characters appears to have a few ideas of his own, Eugene learns that finding the superhero within is more important than anything else. Expect capers, romance, villains and laughs a-plenty in this unique tale. The full transfer cast is yet to be announced. 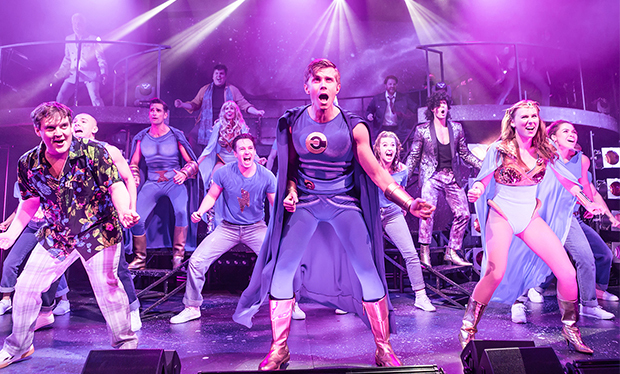 The Other Palace cast included Rob Houchen (Les Misérables) as Eugene, Laura Baldwin (Big Fish the Musical) as Janey, Daniel Buckley (Book Of Mormon) as Feris and Neil McDermott (Wind in the Willows) as Evil Lord Hector, with Brian Blessed as the voice of Space Lord. 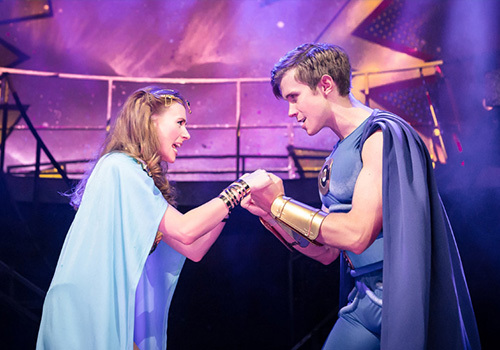 Whet your appetite by checking out the hashtag #GoEugenius on Twitter; the hype for this show speaks for itself!